There is no passion to be found playing small, in settling for a life that is less than the one you are capable of living- Nelson Mandela. Passion is the energy that keeps us going, that keeps us filled with meaning, happiness, excitement and anticipation. 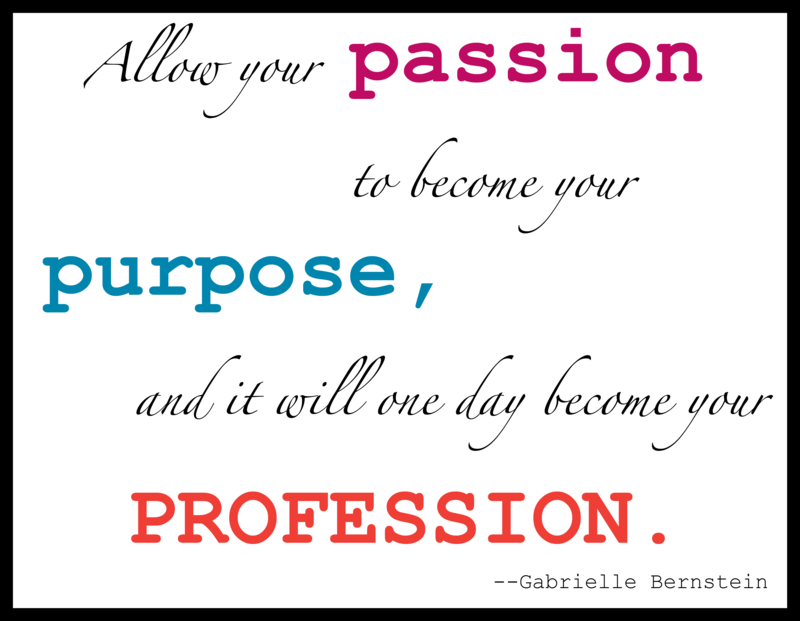 Passion is a powerful force in accomplishing anything you put your mind to, and in experiencing work and life the fullest extent possible. People have many reasons to look forward to the next day in life. Some have the hope of a better day like they say, the future belongs to those who believe in the beauty of their dreams. Growing up everyone had their own dream job and I could say for many it changed as they grew up. I personally had my mind swinging in all directions as I wanted to be an airhostess then all that changed and I decided to be a president. This dream I sure haven’t put on hold but I have extended it to maybe not being president but holding a diplomatic position. As I was in the middle of my second interview for internship at Techno Mag an online technology magazine, with the company’s young CEO I got to question myself a lot. This is something that I do not usually do as I am so opinionated that I get to question and critique other people a lot. As I was paying attention to every detail that my interviewee was giving I also was then on a journey to the unknown. I was trying to put a finger to all that drives or pushes me in life. Firstly I have always been the child that enjoys it when she comes out as the best runner, writer or the best in class. Outstanding has always been my name but as I grew I realized that at times you will find other people who are better at what you do but that is not a call to give up and let go. It actually then is a fight of being the best of yourself. My father who is a pastor always says, ‘’I am not in any competition with anyone, but I am the best of myself doing what God called me to do’’. We might have all these fancy titles to our names but if we are not passionate about what we do then the title ceases to make any sense. Like wearing casual denim at a black tie event. It might be trendy but it just is not the right outfit for the event. Growing up my father treated me like his fragile egg that he was worried would fall and break. I grew up to be the girl who wants to prove to people that everyone is allowed to have their opinion about anyone but it is up to that very person to live up to your opinion. As I wake up each day I tell myself I really do not know what the day holds but I can always do something to make it count. Many people who we read about and talk about now have always lived life to the fullest and we still talk about them many decades down the line because they decided to do what they love and they did it passionately. This is because anything that gets your blood rushing is worth doing. The same reason why even after losing the previous match the players of any club will not quit their jobs but will get into the next game anticipating for a better outcome because for many just the sight of the football pitch gets their adrenaline rushing in all directions. As I wake up each day I tell myself that this dawn has brought in new hope and dreams. The new day has brought me a chance to undo the mistakes of yesterday and do things better. I know it is yet another chance to do what I love. When I created this blog it was because of my passion to write and the fact that I wanted to let people in on what goes in my life. Oh did I mention I got the job at Techno Mag and will be starting work very soon and I hope my attitude and passion will keep me in the company as the CEO kept saying to me ‘’do not make me make you love what you do’’. You sure can teach someone something new but you cannot change their attitude, it is a choice. And I choose to act on my passion and write like my life depends on it. So I believe that in anything, nothing is as important as passion and no matter what you want to do in life and no matter your profession be passionate. Steve Jobs once said ‘’You have to be burning with any idea, or a wrong that you want right. If you are not passionate enough from the start, you will never stick it out.’ This explains many failed projects, organizations or careers. And one of my favorite quotes on passion is from a man who clearly had more talent than he claims in the quote; ‘’I have no special talents. I am only passionately curious’’- Albert Frankenstein. Passion is energy. Feel the power that comes from focusing on what excites you. Previous Post I found my MAN..